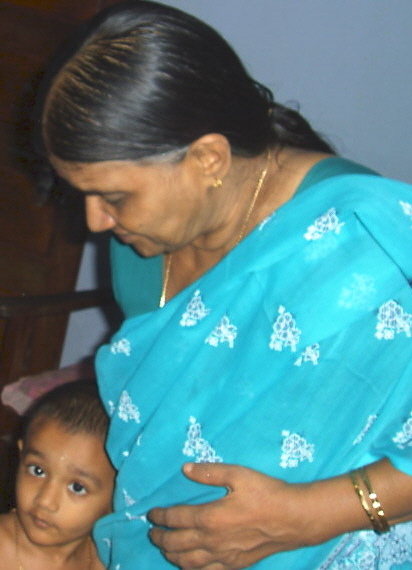 My maternal aunt Smt N.K.Vijayalakshmi, also known as Vijayam, breathed her last on 29th January 2013 at Palakkad. She was suffering from Rheumatoid Arthritis during the past few years and had great difficulty in moving about within the house. Recently, she was taken from her home at Nemmara to Palakkad where her elder daughter Seetha resides. She is the younger sister of my mother and was a retired Teacher at Vallangi School in Nemmara. She has two daughters, Seetha and Rajasree and both daughters are married. Her husband Shri E.V.Narayanan is a retired personnel of Cochin Company in Ernakulam. Both daughters and her husband were with her at the time of death. Our condolences to the bereaved family.